Cute cats... am I right?!? Hello hypberbeard. I like this game a lot, but.... this game gets CREEPY and DARK. For example:if you get the phone, there’s a message. The message: “U ok?” That means the creator of the kleptocats has DIED. So at the time that means he was talking to his freind at the time of the kill. Ok,enough with the dark stuff! I like the game. It’s cute. I have the book to. (Kleptocats: guide to surviving cuteness overloads. Is the name of the book) the book is helpful. And congrats to Daphne Pendergrass for the OUTSTANDING artwork! I have one of the kleptocrats tiny cute ADORBLE little plushies. I have the Sakura plushie.i find all the cats cute. But mine FREACKS ME OUT and that one with the black eyes with the knife,HORRIFYING! But I notice that paper with a handprint on it. That. Gives. Me. Chills. I’m also a new player. So I don’t have many cats and items. How do I know there’s a handprint on the wall? I have the book. Thanks to the book I see all cats and items in all rooms (not ALL rooms...) I also find gem dog ADORBLE! With his little cute face, he looks like a cute stuff animal! That’s all the time I have to right write. Thanks for reading! Bye. New: I still love it! However, can you make it to where we can save our progress? Like.. Connect it to Gamecenter or Facebook? I hate that when I got a new phone, it all left and I had to start over. Thanks!! BTW It is kinda creepy. There are hints hidden all over the place suggesting the cats are holding you hostage. "HELP" spelled with magnets on the fridge, and when you go to the inventory to see it, it says, "If I could just get these in the right order." There is an exit sign on the other floor, and when you go to the inventory, It says, "But can I?" Not to mention the person screaming in ropes in the mirror in the first room. But I love the references! Futurama, Fire Watch, Pokemon, Harry Potter, etc! Just go to the inventory to see the items you have. I love this game so much. I love love love it. 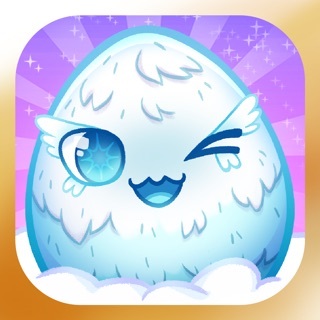 The art style is adorable, the cats are cute, the items are interesting and I love that some of them are pop culture references, I even love that the option to watch ads doesn’t seem to have a limit, at least not that I’ve found, since it makes gems relatively easy to get. The only complaint that I have is that you can get the same item multiple times. It’s infuriating sometimes. I got the chicken that “looks like something else but is a chicken” TWICE in a row after I’d already gotten it once before. It’s such a stupid feature that you guys added. I had this game a year or two ago and recently reinstalled it, and this feature wasn’t in there before. Why would you add it in? It already takes forever for cats to come back, up to forty minutes. Why would you make it even harder by allowing repeat items to be collected? It is the only complaint I have but it is such a huge annoyance.